The Macro Ring Lite adapter for my Macro Ring Lite just came! 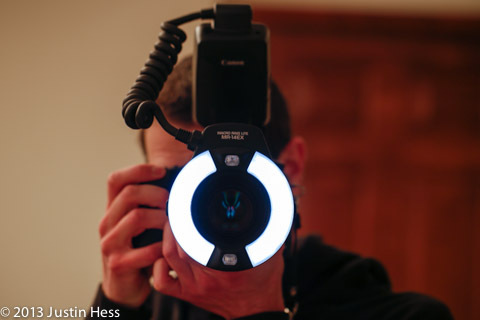 I also have the Speedlite 600EX-RT flash that can be setup off camera for E-TTL. This gives me a little bit more ability to try some creative lighting setups. I’ll be playing around with the flashes and burning through batteries while I learn. Let the fun of conquering flash photography begin!